Though the weather is generally always nice in Las Vegas, the city does have its bouts of frigidness that force the hotel's to close their pools for a short stretch of time. From November to March, these outdoor areas are desolate and mostly unused; but once April hits and the Vegas spring weather starts to fill the air, these resort pools fill up like a beach on Fourth of July. 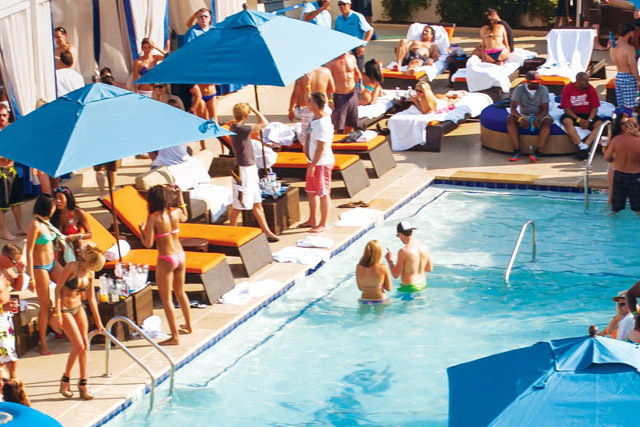 Throughout the course of spring, summer, and part of fall, Las Vegas hosts an assortment of pool parties to help break up the monotony of the usual week. A Las Vegas pool party may differ slightly from those summer gatherings you used to have with your middle school buddies. For one, there will be no game of water tag or Marco Polo. The only games you'll be playing may be a little game of cat and mouse with one of the party's available beauties or, if you choose a party like the Hard Rock's Rehab, a little swim-up blackjack. Also differing from your party's of yore are the beverages of choice. You won't find bottles or cans of soda tucked into an unsanitary looking red, plastic cooler. Rather, a Vegas pool party will be home to something a bit rougher on the liver. Equipped with fully stocked bars, a Las Vegas pool party brings the club atmosphere to the pool with tropical beverages made from top shelf liquors. While the music of your younger affairs may have been produced by a D battery-powered boom box, these poolside congregations will feature no less than the best DJ money can buy. Resident DJs and special guest live performances work to ensure that every body in the pool has a little something to move to, whether it's an assortment of top 40 tunes or some classic hip hop. From Wet Republic at the MGM Grand to the Cosmopolitan's Marquee Dayclub, there is an exhausting amount of pool parties being held on the Las Vegas Strip. Since most of the pools house the same amenities and offer the same basic experience, deciding on which one to attend may be an overwhelming experience. You may have heard that the Hard Rock's Rehab is the most popular pool party in town, but it's also twice as difficult to get into as something like Ditch Friday's at the Palms Pool. 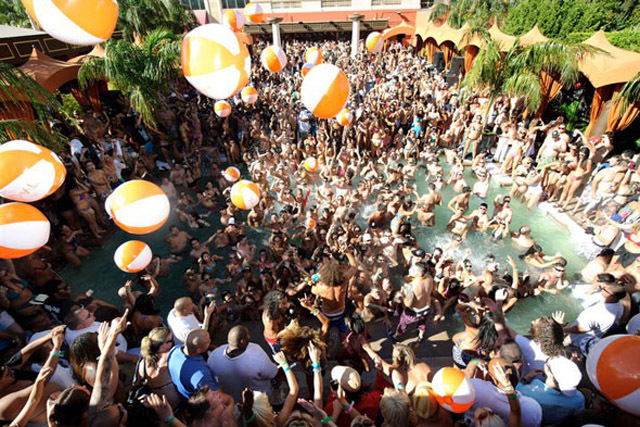 No matter how you make your decision, it's impossible to be disappointed by any Las Vegas pool party.